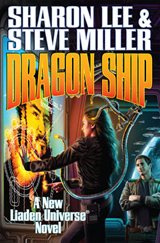 Authors Sharon Lee and Steve Miller announced today that they will release the Liaden Universe® in audio format on Audible.com, concurrent with the hardcover release of newest book in the series, Dragon Ship, from Baen Books. 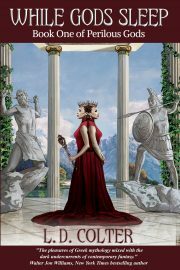 A quarter-century ago, Lee and Miller re-envisioned space opera by adding romance and family values into their first action-adventure novel, Agent of Change. The series now encompasses fifteen books, all of which will be available for download September 4 at www.audible.com/liaden. The Liaden series will be one of the largest single-day, single-author releases in audiobook history. The series has been divided into four groups, or sequences, each read by its own accomplished narrator. Sample excerpts from the first book in each sequence will be available on the website as well. The four sequences are: The Books of Before, narrated by Kevin Collins: Crystal Soldier, Crystal Dragon, Balance of Trade; The Space Regencies, narrated by Bernadette Dunne: Local Custom, Scout’s Progress, Mouse and Dragon; The Agent of Change Sequence, narrated by Andy Caploe: Agent of Change, Conflict of Honors, Carpe Diem, Plan B, I Dare; The Theo Waitley Sequence, narrated by Eileen Stevens: Fledgling, Saltation, Ghost Ship, Dragon Ship. 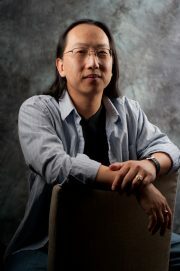 Sharon Lee and Steve Miller have been working in the Liaden Universe® since 1988, and their unique infusion of romantic space opera has garnered awards from the science fiction and romance communities. Lee and Miller recently received the Skylark Award for lifetime achievement, given by the New England Science Fantasy Association. Previous recipients include Sir Terry Pratchett, Anne McCaffrey, George R.R. Martin, and Isaac Asimov.